Settling (Somewhat) in Nashville… Amazing Friends & Opportunities! Did you know that moving isn’t a whole lot of fun? We’ll, if you didn’t know, it’s not!!! Ha. It’s been a crazy week for us, but we are finally in our new home in Nashville. We are getting every day closer to making it actually feel like home. Between last Friday and Saturday (Feb. 3-4) we moved everything back up here from Rome. It’s not exactly easy, but boy are we blessed to have such amazing Friends! We had help on both sides of the move. We had great help on the Rome end from several of our closest friends there… who worked ALL DAY SATURDAY, and we had even more on the TN end! Brad and Rosa Hershberger, who live in TN, went overboard! Rosa traveled to Rome on Thursday to help pack and prepare, and Brad traveled on Friday evening after work to help load and drive the uHaul back on Saturday afternoon. I’ve reflected much over the past week about how truly blessed we are to have so many friends scattered out all over the world, who are seemingly willing to drop everything to help us. God is good! We are so thankful. Over the past week we have been working at getting things unpacked, and getting the kids enrolled in the schools here. The school offices were really impressed with how “prepared” and “on top of it” we were. I had to admit to them that it’s because we’ve done it WAY too many times! Ha. The kids love the house and neighborhood. They will definitely miss their many friends there in Rome, but they are extremely adaptable, and are already making new friends here. We really are in the perfect place. In all honesty, I like to live way out in the country. Still, our job and calling requires us to be in the middle of people! I tend to want to withdraw, but I’m always happy when we don’t. We are living in the largest neighborhood in Tennessee, and one of the largest in the nation! It’s growing so fast. Census data shows that up to 100 people PER DAY are moving to the Nashville area. There is so much diversity here also. The below graphic illustrates the diversity in Jordan’s middle school. The other thing? There are, from what I can tell, very few if any churches back in this neighborhood (At least looking at Google Maps). There is a huge need here, and we neighbor the massive Nashville neighborhood of Antioch. 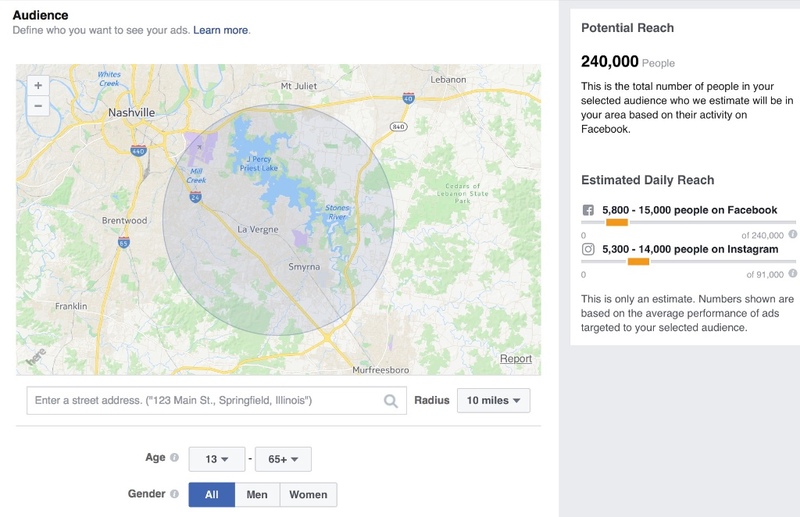 With just a quick check on Facebook, there are 240,000 people (13+ y/o connected on Facebook) within a 10 mile radius of where we are aiming at planting this church! Thank you so much for keeping us in your prayers! Great times are ahead for us, and I believe for the US church in general. The craziness in our world can be scary, but it really is in times like these where we tend to see God move in great ways. We have great dreams, and I believe that we are now perfectly placed… In location AND with such a great support network of pastors in ARC. God is good! Remember always, if God puts it on your heart to be a financial part of this… please do! Our dreams are big… but we have no idea where the money will come from to do it! Over the next few months, we will find out. God has it all planned out. You can be a part by giving on our website at https://hohnet.com/give/. Thanks so much and God Bless!